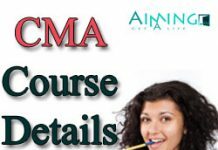 The Institute of Cost & Works Accountants (ICWA) has recently modified or renamed as Institute of Cost & Management Accountants (CMA) as there is no differences in both the courses and is governed by Cost & Management Accountancy in India. The professionals identified and changed the name of ICWAI to CMA where ICWA stands for Institute of Cost & Work Accountants whereas CMA stands for Cost & Management Accounting. The Cost & Management Accountant Course deals with the strategic management decisions with respect to economic activities of an organization. ICWA is a job assured course that secures immediate career towards market tendencies whereas CMA course is a profession that have a good social status and is expected to collect, assimilate, analyze and collate financial information from all areas of organization. Let’s look down for the levels of CMA course. 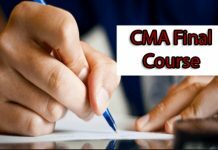 There are three levels for Cost & Management Accountants (CMA) Course by name Foundation, Inter, and Final. 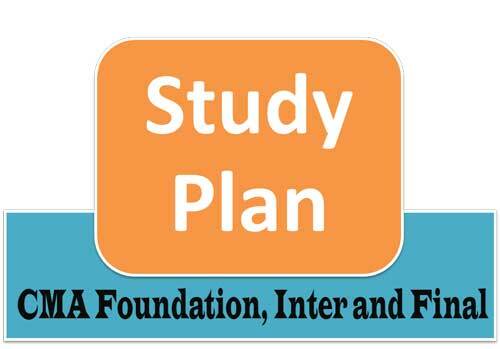 Now, let’s go through the CMA Study Plan for CMA Foundation, Inter and Final. Foundation is the primary level for ICWA course. The candidate who completes this level is promoted to the next level i.e. inter. The same process is followed to enter into final. For completing all these levels, the candidate need to strive hard to attain good score. A good study plan and good preparation helps the student to attain good score in their exams and also helps to attain good jobs. Whatever may be the level, the study plan will be same for attaining good score. The candidate need to strive hard for completing each level because for each level, the subjects may be difficult and the candidate should necessarily complete all the subjects at one level itself. 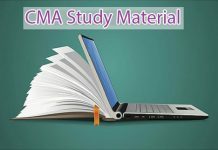 Now let’s look down for the process of implementing CMA Study Plan for each level of CMA i.e. Foundation or Inter or Final. Firstly, the candidates should be clear with their syllabus prescribed for each level i.e. either Foundation or Inter or Final. Candidates should refer to their notes and practice until the exam date is approaching near. They should can catch up the short notes that is prepared during the period of study and go through the important notes which would give an opportunity to cover most of the syllabus in a short period of time. Every chapter would have some highlight points and the candidate need to remember them. This highlights helps the candidate to remember the key points or concepts under wide variety of topics. Understanding the concept helps the candidate to tackle any examination easily whether theoretical or practical. It is important to remember formulae and methods for solving questions in accountancy or some numerical questions. Candidates can take help of their lecturers whenever they have any doubt and should get clarity on the topic or subject. Clarifying doubts helps the students to attempt questions easily to attain good score. The candidates of any level have the need to practice previous year’s question papers by understanding the exam pattern and questions. So that the candidates may have a clear idea about the pattern of questions and marks allotted for the important topics. While practicing the question papers, the student should set the timer and then complete the paper which helps the candidate to attempt the questions in limited time in the examination. The students who are aiming for completing CMA should spend more time on studies or preparation until the final level is completed. They should not take any breaks and concentrate on preparation of exams to attain good score. During preparation of the examination, the candidate should not have any distractions. They should strengthen themselves by keeping away distractions like using Facebook, WhatsApp, Instagram and should concentrate on the exams for scoring good.